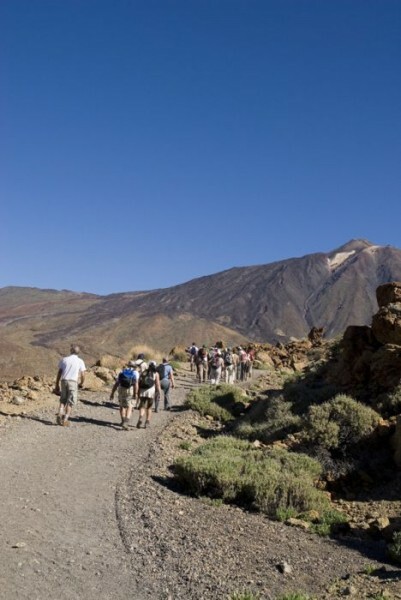 An outdoor activity company El Cardon, based in Buenavista del Norte, are offering a wide range of themed hiking routes, as well as several other activities in the best natural areas of Tenerife. The walks are specifically aimed at tourists. The company have been established for 10 years and their professional guides, environmental educators, will enhance the walks by telling you about the history, nature etc. The laurel forests every Tuesday in the Monte de Agua. El Teide is on the first Saturday of the month. Masca ravine on the second Saturday of the month. Caving in the world famous San Marco cave on the third Saturday of the month. kayaking off Punta de Teno on the fourth Saturday of each month. If the Cabildo get their way, visitors will have to pay for the privilege of walking down the Masca ravine. The official environmental reason is clear, the paradise needs protecting and that costs. 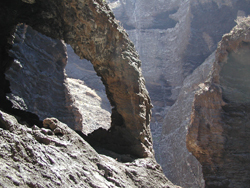 A similar toll is paid to walk through Hell’s Gullie, el barranco del infierno, on the south side of the hills. 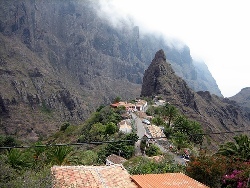 Forty years ago the village of Masca was almost com¬pletely isolated. In recent years it’s become such a tourist at¬traction that the paths on the walk are becoming badly eroded and the main bridge was burnt through in the fires. The other reason may be economic. 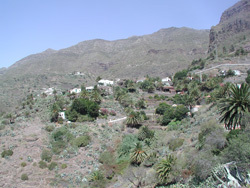 The mayor of Buenavista, the mu¬nicipality to which Masca belongs, is also keen to do his bit for the environ¬ment but his council could benefit even more from the proceeds from the paying walkers. 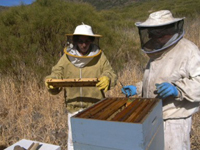 Ecologist groups like Ben Magec see that economic sideline as the main reason behind the initiative. They are op¬posed to having to pay to walk anywhere. Others, like the guided walk organisation Patea tus Montes, are entirely in favour of a charge to walk down the Masca ravine. According to their spokesman the damage caused by people walking has been brutal. These guides already charge €18 a head for transport to and a guide during the Masca walk. Anyone who can’t face the walk back up the barranco can pay €10 for a boat trip to Los Gigantes marina.